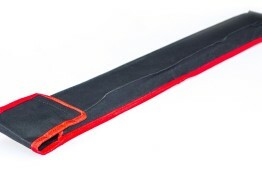 Made from heavy duty black canvas with red piping, velcro fastenings on the pockets and an adjustable shoulder strap. 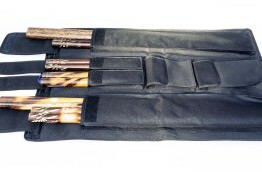 Can comfortably hold two 28″ Eskrima Kali Arnis sticks. 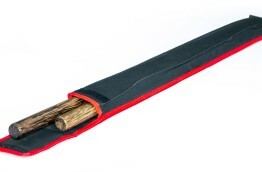 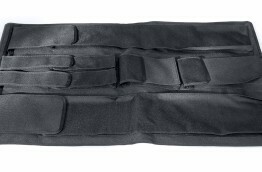 Made from heavy duty black canvas, this bag rolls out flat and comprises of 2 large stick pockets allowing for up to 10 sticks in each pocket, plus 4 smaller pockets.